Learn about VITEK MS identification system for identification of pathogenic microorganisms developed by BioMerieux. Pathogens in finished products and environmental flora must be identified in pharmaceutical manufacturing up to species level. According to FDA every bacterium in manufacturing environment should be identified and every new microbe should be identified when it is caught first time during environmental monitoring. Identification by traditional method (selective media) always remains questionable because the method does not provide supporting data i.e. 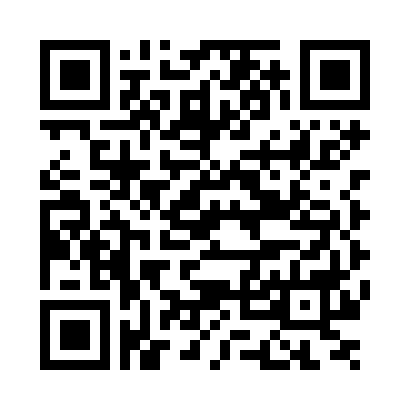 printouts of 21 CFR compliance software with date, authentic photographs etc. These selective media methods take five days for final results of identification. Due to all these problems, an authentic and rapid method is required to identify the environmental isolates. BioMerieux, Inc. recently developed such a method to identify the 193 pathogenic species of bacteria and yeasts. Yeasts from Malassezia, Cryptococcus and Candida groups and bacteria from Staphylococcaceae, Streptococcaceae, Enterobacteriaceae, Pseudomonadaceae, and Bacteroidaceae families those are responsible for many serious human infections are easily identified with this VITEK MS system. VITEK MS system is based on matrix-assisted laser desorption/ionization–time of flight mass spectrometry (MALDI-TOF MS) technology. The system breaks the cells of bacteria and yeasts into small particles. The pattern of particles is compared with the 193 saved patterns in the system database. Identification is done in three simple steps 1) placement of sample directly onto the target slide 2) addition of ready-made matrix solution and 3) analysis of sample within minutes. The system can analyze 4 sample slides with 48 positions each (192 isolates) in every run. A small number of cells are required for identification, unlike the other methods those require dense colonies. So testing can be started when growth starts after 18-24 hours of incubation. 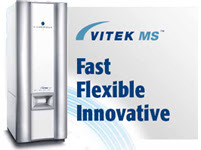 FDA approved the VITEK MS system after finding the results of a study on 7,068 microorganisms. FDA says “When compared to sequencing and biochemical testing, the VITEK MS correctly identified the scientific group or family 93.6 percent of the time (with 87.5 percent of microorganisms identified to species level). The VITEK MS provided a `‘no identification’` result for 3.2 percent of the microorganisms in the study. Of all test results, only 0.8 percent were incorrect and 2.4 percent were low discrimination with no correct result." VITEK MS system will help to identify the microbial contaminants up to species level in pharmaceuticals and also be helpful in identification of human specimen of critically ill patients with bacterial and fungal infections in very short time.